If you’re Canadian and are hoping to be able to watch Michelle’s game online, you’re in luck! Jeopardy! streams online in Canada! You can watch it online at 7:30 PM Eastern (Ontario feed) or 9:30 PM Eastern (Alberta feed)! Correct response: What is a tree hugger? The term “tree hugger” originates from the actions of the Chipko movement in 1970s India, who were successful at preventing deforestation in parts of India by literally hugging trees to protect them from being cut, eventually forcing contractors to retreat. The term has since been used to refer to environmentalists in general. Unrelated to this game: A number of people have stopped in recently to complain that contestants have failed to phrase responses in the form of a question. I find this preposterous. Here’s why. The judges have the ability to isolate each contestant’s audio to determine exactly what and when they speak. (Heck, I tape a podcast out of a home studio and my basic equipment can do the exact same thing.) As is often evidenced, these judges can tell the difference between “Gangsta” and “Gangster” and can spot an accidentally-added D or S. There are dozens of writers, researchers, or producers who, as soon as they spot a possible mistake can call for a tape stoppage and confirm a response. Thus, I am of the opinion that if a contestant fails to phrase the response in the form of a question, that the judges will tell us so. 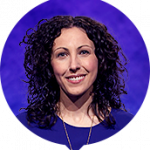 There’s always something new coming into The Jeopardy! Fan Online Store, including something perfect for Washington, D.C. hockey fans! Here are our top-selling items! At current exchange rates, $36,600 USD equals approximately $48,200 Canadian. If you are going to quote any statistics or original content from this page or this website, attribution is required. Have you had a chance to listen to our podcast game show, Complete The List, yet? Check it out! It’s also available on Apple Podcasts. 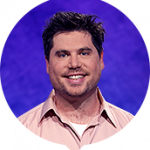 44 Comments on "Today’s Final Jeopardy – July 13, 2018"
My husband used to wear a ‘tree hugger’ bracelet. Should be a clean sweep, three (or how many are left for FJ) correct. You were so close, John. Unless you pulling our leg Andy, you gotta be kidding me. Vincent had the right answer, right bet and how can one person be a “group” ? 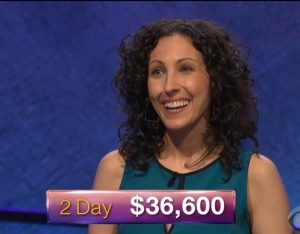 And the second day in a row that Michelle lucked out with her wager. Had Bryan bet everything, Michelle would be gone. Like yesterday, had Johanna been right, Michelle’s wager would not have been enough. Has anybody any idea what happened here???? I need the weekend to recover from this. Getting it wrong or not knowing it is one thing, but this? Unbelievable. They are not allowed to smoke anything while FJ is going on and the players are writing down their answers, are they????? 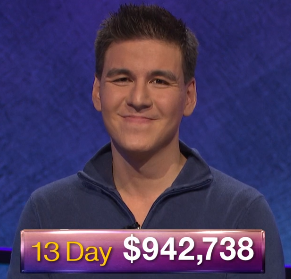 My only explanation is: the show was taped April 1st, Vincent has so much money that he does not care about a few more thousand bucks, showed that he not only knew the right answer but also how to place the correct bet. Then he just went” April’s fool!”. If somebody has a better explanation, pleas, PLEASE let me know. This will go down in J history as the biggest blunder ever. Vincent said, “I misread the question.” It happens, he messed up and he lost. There have been worse mistakes made in the FJ! round and Vincent will be remembered as well for letting a 4-letter slip and getting beeped for it. @John B.: When is your airdate again? Yeah, I just don’t see how one misreads the question especially after reading it correctly the first time. Typically in trivia the misreading happens on the initial reveal (for example, hearing four words but thinking four letters). Here the key words are slang term, environmentalist and groups. So even if seeing “environmentalist” makes you think Carl Sagan, that answer still requires ignoring the words “slang term,” which Carl Sagan is not. I would love to see the footage from the control booth of the directors watching him write the correct answer at first and then react to seeing him draw a line threw it. This has to go down as one of the most mysterious responses in FJ! History. I’ve re-read the clue several times now, and for the life of me can’t figure out how any part of it would lead to Carl Sagan. Having the correct response initially adds to the mystery. Would have loved to have had live mics for the end of show chat between Alex and the contestants…he had to have asked about it. But of course he didn’t wrongly re-read it, it was wrongly transcribed on the monitor…he just read what was there. Glad they’re bringing him back. Me too. I came online just to try to find out how in the heck he misread it to come up with Carl Sagan. Got the daily double just in time to get the lead and then chokes it away in final. Choke is kind of a strong word…I’m sure there must be an explanation that belies such a harsh assessment. The bleep needed to be broken out during tonight’s game. Back in Austin Rogers’s debut, Alex made a remark to the effect that the sound editors would have their work cut out for them. But whatever words the 12-time champ used were silenced. So far as I recall, the outright bleep in tonight’s episode was the first one deployed since May 15, 2015, when Penn Jillette called a category titled “BULL” ____ by giving the actual title of his and Teller’s long-running Showtime series. Also, if the #JeopardyLivePanel interviews of the College contestants every year are any indication, I believe those players tend to swear a bit on stage as well. What was the answer related to, paraphrasing roughly, “when things are right they are right in a few ways, when they are wrong, they are each wrong in many different ways”? Who said this? was it in 1897? Do you mean “All happy families are alike; each unhappy family is unhappy in its own way.”, the opening line from the 1877 novel Anna Karenina (by Leo Tolstoy)? Of course, Tolstoy. My years are catching up with me. Thanks Andy Saunders! 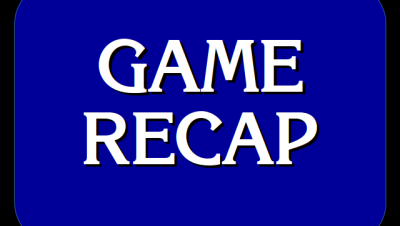 It’s my understanding that phrasing the answer in the form of a question is not required in the Jeopardy round (although encouraged), but IS required in the Double Jeopardy round. 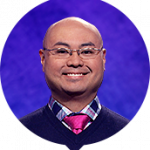 So it’s probably in the Jeopardy round where contestants were not “called on it” and penalized, and some viewers are not aware of the actual rules. Someone please correct me if I’m wrong about this. Maybe you should also clarify that rule for your readers. Thank you. Long time fan of the show, this is the first time I have researched an answer on the net. CARL SAGAN? Somebody please help me see how you get to CArl Sagan !? To me, it appears as though with about 5-10 seconds left he re-read the clue and thought that the clue wanted a specific person, and I guess Sagan was the first quasi-environmentalist who came to mind at that point. Ugh…two terrible bets by Michelle. That’s not something you can end the Jeopardy! week on. It’s as if she’s not even TRYING to cover the player behind her. Robert’s comment on Monday, boy was he RIGHT. It seems like contestants try to see how much they can win rather than putting themselves in the best position to win. And it happens right when we come near the end of the season!!! It’s such a peeve to watch these kind of games. Hopefully Michelle had friends or family in the audience with her who were able to catch the potential problem of leaving herself vulnerable with her FJ wagers had she missed. She should have had at least a day or two before the next tape date to work on it. Yeah, it’s like she’s not concerning herself with the other players and is just making bets on instinct and her like of the category. Like it’s a Daily Double in the first round. Luck plays sometimes, though. Her two Daily Double wagers have been smaller than what I would expect from a typical contestant given the scores when she hit them. She may simply be “risk averse” in the sense that she’s uncomfortable risking a lot of money on an unknown clue, however her wagers don’t appear to be optimal for maximizing her probability of finishing first. Definitely risk averse. What I meant by the Daily Double line is that in the first round it’s usually early enough that a player would be more likely to bet based on their comfort with the category rather than the strategy of the game, which has to be more of a consideration in Double Jeopardy. Vincent’s final is one the weirdest I’ve seen in many years of watching the program.That he read it right, got the correct answer and crossed it out, blowing nearly $30,000 is??? How could he come up with Carl Sagan (astronomy)? How lucky is Michelle. Mystery solved! It all makes sense now. They all wrote tree hugger right away, but Vincent clearly re-read the clue on the monitor…the t in this was apparently missing, and it said “his slang term”. Alex had read it correctly as this. Good for Vincent! Are they each shown the FJ clue on their respective monitors (do they each HAVE monitors??) at their stations? The clue is shown on one of the clue monitors on the clue board. If you look closely during Final Jeopardy during the first few seconds, you see a category and clue on the left of the shot as the camera zooms in. Does the show give him the $28,401? He had the correct response based on Alex’s correct reading of the clue, and only changed his answer when led astray by the incorrect transcription. He could end up with just $2000 from them if he finishes third again. I do not believe that this is the case. Even adjusting for the missing “T” at the beginning of FJ clue, was Carl Sagan actual the one who is credited with coining the term “tree huger” in India back in 1973?